In 2014, Google chose to launch a tablet and a phablet – which was considered an oversized Moto X 2014 with superior specs. But instead of praising it for its look and performance, many reviewers weren’t very impressed by the Nexus 6, therefore the sales didn’t go so well and Google couldn’t wait to bring new products to wash off shame and the arrival of the Nexus 5X and Nexus 6P was the best thing that could happen to this company in 2015. Many fans were waiting the return of LG, which created two amazing smartphones in 2012 and 2013, but it came as a big surprise to us when we’ve heard that Huwaei will make the next phablet. If this is the first time you’re reading about the two new Nexuses, in this article we’ll tell you everything you need to know. This is the first time when a Nexus contains a letter designation on the end of the numeric label, 5 and 6 respectively. So, what do the X and P stand for? According to a Reddit user called Lockheimer, the X is the “core” letter in the word Nexus, while the P stands for Premium, or maybe for Phablet, since it’s larger and the successor of the Nexus 6. Both devices can be ordered from the Google Play in the US, UK and other important markets. 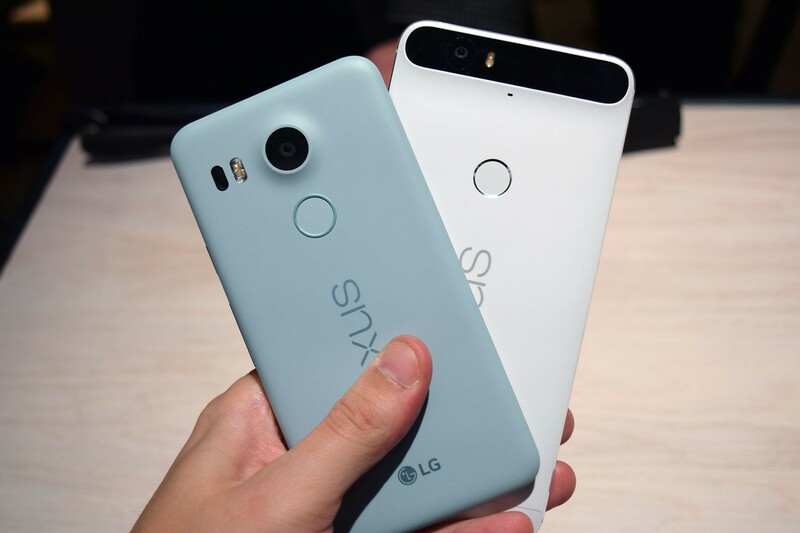 Since the Nexus 5X is available in two variants of internal variants, the 16GB model is priced at $379 (£339), while the 32GB version is priced at $429 (£379). 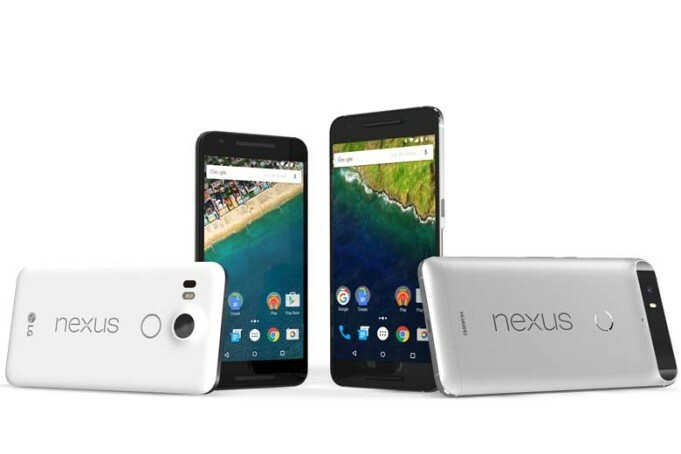 The Nexus 6P comes in three variants of internal memories, but the capacity starts at 32GB and the price is $499. The 64GB model is $50 more expensive, while on the 128GB version you’d pay $649. None of the manufacturers have equipped any of these devices with a microSD card slot, so you’ll need to weight your options and make a decision according to your needs. LG redesigned its previous model, which had a floating arc design like the G3 and it was made of plastic. It was better than a mid-range device, but its price was very low and the aspect wasn’t actually bad, but it was too simple, as the back was flat and slightly curved on the edges. The rear camera was positioned in the upper left corner and the thickness of the device was 8.6mm. The Nexus 5X became slimmer, measuring now 7.9mm and its body is now rectangular and still made of matte plastic, but the new color options are Carbon, Quartz and Ice. Android Marshmallow’s support for fingerprint scanners brought some changes to both of the Nexuses, so you’ll find a reader on their backs. The previous Nexus 5 came with a 5-inch screen and its diagonal has been extended to 5.2-inch, but the resolution was kept at 1080×1920 pixels and the pixel density has been decreased to 424, but that doesn’t mean that the screen isn’t sharp enough or the colors aren’t almost accurate. The processor isn’t the fastest, but it doesn’t heat up like the latest Qualcomm octa core CPU. This model is a Snapdragon 808 with four cores running at 1.44GHz and two cores are clocked at 1.82GHz, being backed by Adreno 418 graphics and 2GB of RAM. The rear camera has been also upgraded and instead of 8MP, it supports 12.3MP and can record 2160p videos @30fps. It has an aperture of f/2.0 and some of the important features include laser autofocus and dual-LED flash. You’ll be able to take decent selfies with the 5MP camera and post them on Facebook or any other social media website. The battery isn’t too big, but at least it was upgraded from 2300mAh to 2700mAh and it is charged via the new Micro USB Type-C port. It looks like the Ascend P8, being stylish thanks to its metal construction, but the Nexus 6P doesn’t have a flat back and the black band at the top, which has the camera located on the left corner, is protruding and curved on the sides, like the rest of the back. The phone’s three variants of colors are Aluminum, Graphite and Frost, it’s 7.3mm thick and it features a large 5.7-inch screen with a QHD resolution. Huawei used a display created by Samsung, which uses the AMOLED technology and it offers a pixel density of 518ppi. This model has a superior configuration, consisting of a Qualcomm MSM8994 Snapdragon 810 chipset which is powered by a quad-core 1.55 GHz Cortex-A53 CPU and a quad-core 2.0 GHz Cortex-A57 CPU, but this chipset is the improved version and it has a more normal temperature, even if you’d open up multiple applications. The processor is backed by the latest Adreno 430 graphics and 3GB of RAM, and you should expect a long battery life, since it has a capacity of 3450 mAh. On its rear side has a similar camera to its smaller Nexus sibling, but the front camera supports 8MP and it records HD videos 30fps.